As many of you know and have so generously re-tweeted and blogged about it (thanks! ), we’ve just launched our newest Facebook game called Healthseeker. Like all of our games, Healthseeker was designed with certain evolutionary and psychological game-oriented principles in mind. As you know from reading my previous posts, game developers can influence the meaning and intensity of their game by understanding the psychology behind great game design, so I thought I’d dedicate a post to a recent article I came across. The article is a New York Times piece about the psychological game-oriented strategies that some drug companies and insurance agencies in the U.S. have been using to help patients overcome poor adherence to taking medication. It’s a lottery incentive program and it derives from a study that was conducted to improve Warfarin adherence. 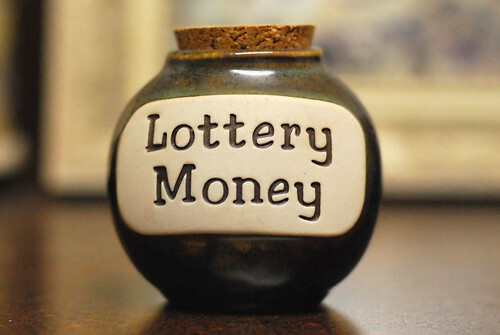 A lottery system was used to enter participants to win money (on any given study day participants had a 2 in 5 chance of winning $10 dollars and 1 in 100 chance of winning $100 dollars when taking their medication) if they took their medication on time. That’s $3 dollars a day. How does this relate to Healthseeker? Like Healthseeker, the study is based on using behavioural principles to motivate behaviour. For Healthseeker, a social game that helps people with diabetes make more purposeful lifestyle choices, the Diabetes Hands Foundation wanted us to develop a game that was fun to play, but also something that people could utilize in real-life. So, we designed a game that uses in-game incentives that to engage players while playing the game, and motivate them to actually modify their behaviours in real-life. Our design reflects our (we think, safe) assumption that incremental actions, no matter how small, are more effective in trying to achieve a goal, than doing nothing at all. For the study that the article refers to, doctors used certain behavioural theories to their advantage to design the lottery incentive program. For example, they realized that a lottery incentive gives people a chance for doing something small and still getting a positive reward, it also gave them a chance to win a larger amount of money without having to do anything extra, the participants “played” the game because they wanted to avoid regret and also just the general gameplay aspect seemed to have been a motivator by itself. According to the article, while the monetary incentive did motivate most of the participants to better adhere to the regimen, experts said the psychological effect was more important than the dollar amount. Although “economically irrational,” one doctor said, small sums might have even worked better as motivating factors than bigger amounts. Why? It all comes back to the psychology behind the thrill for humans of the game-like lottery scenario. Our brains are hardwired to try to predict sequences in random occurrences, see patterns where there are none and try to complete sets, all scenarios that some lottery games emulate (some would say “exploit”) — this is all in the name of survival from thousands of years ago. While doctors interviewed for the New York Times piece agree that there needs to be more research if longer-running incentive programs will produce more dedicated medicine-takers or not, a recent study by Hopelabs, a non-profit organization that works with adolescents who have cancer, might provide other clues to offer. Their study was specific to the positive potential that video games and other popular technology might have to improve human health for cancer patients. The study found that video games promote a positive behaviour that also helped enhance the effectiveness of medication. Steve Cole, co-author of the study said that this shows how a strategically designed video game can be a powerful new tool to enhance the impact of medical treatment by motivating healthy behaviour in patients. Can you see the potential of an approach like this to yield concrete health results? What are your thoughts? As always you can email me at michael@ayogo.com.